Want a Digital Copy of the Q4 Brochure? Bathroom furniture is the perfect way to piece together your bathroom and incorporate a practical, but stylish, storage solution. Q4 offers an array of sizes and styles in both freestanding and fitted bathroom furniture options to complete your overall look. Browse through our selection to find the right style for you. Whether you’re looking for a modern style or a classical finish, our high quality bathroom furniture pieces will fill that need. With top features such as soft closing doors and drawers, and both slimline and traditional depths available, there are plenty of options to choose from. Fitted, freestanding, or wall hung, and a great selection of colours and finishes such as modern gloss or a warm wood effect, you’ll find it in our extensive bathroom furniture range. 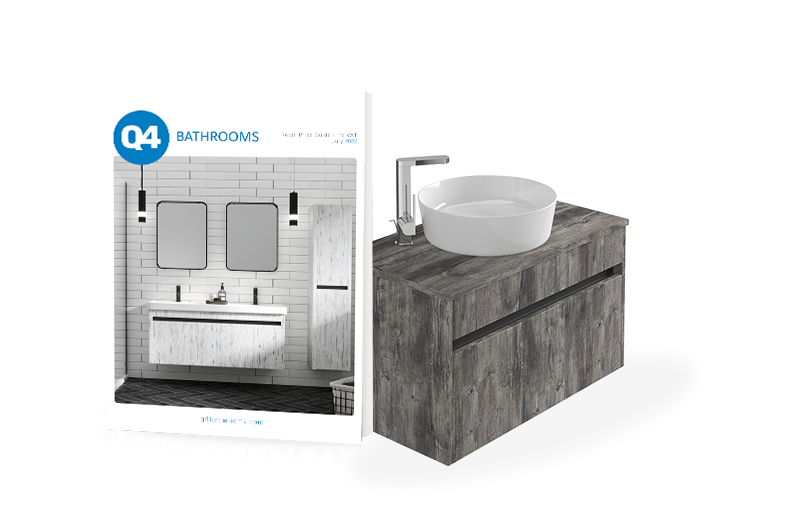 Why buy bathroom furniture from Q4?